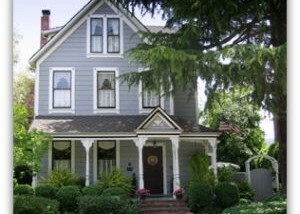 How old are the oldest houses in Los Gatos and nearby? If you drive through the Edelen, Almond Grove, Fairview Plaza, Glenridge and other older and historic Los Gatos nieghborhoods, you may have wondered how far back in time these architecturally interesting properties go. What are the oldest residences in town, or close by? In the Santa Clara Valley, there are a few old adobe homes here and there, such as the Peralta Adobe in downtown San Jose (built in 1797), and the Santa Clara Women’s Club Adobe (built in 1790), and many more. In Los Gatos we don’t have any pre-1800 adobe homes to my knowledge. Property records for LG indicate that there are a couple of homes dating from about 1840 or 1850, but a close look reveals that they have been extensively remodeled and look more like homes from 2005. Want something authentically historic and still looking the part? There are plenty, but they don’t date from quite so early. They are instead from the late 1870 or so at the earliest, generally. 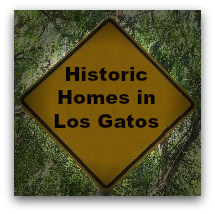 Today I did a search of county real estate records for homes in Los Gatos (in town, 95030 & 95032 plus the mountains, 95033) and found hundreds of properties identified as pre-1900 construction. There were about about 400 in 95030, 120 in 95032, and also about 120 in 95033. The majority of the older homes were said to be built in 1900. That figure is so high as to make me ponder whether that’s just an easy way of saying “really old” rather than the precise year of construction completion. 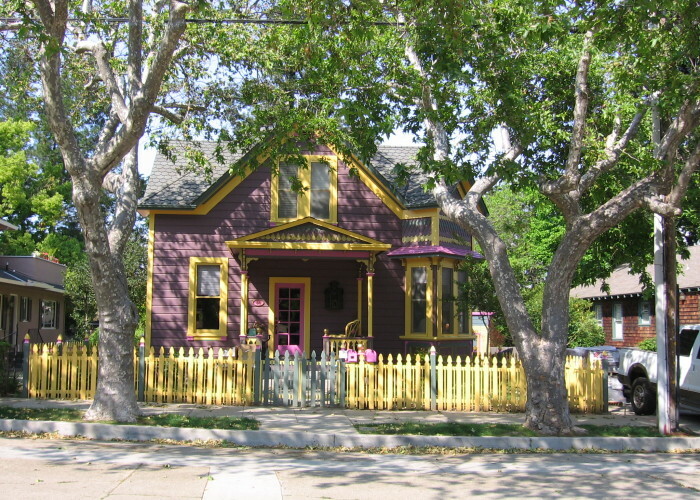 While there are many neighborhoods with homes which qualify as historic, such as Glenridge, just five of these areas have the historic district designation: Almond Grove, University or Edelen, Fairview Plaza, the Broadway area, and Downtown. 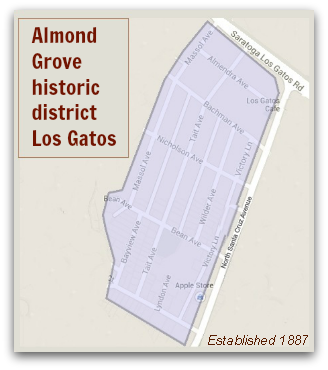 The location itself could be very compelling alone as the Almond Grove neighborhood is as much “in town” as “walk to town” with so many activities and opportunities happening along North Santa Cruz Avenue, Main Street and University Avenue – all a stone’s throw away. Quite vibrant, downtown Los Gatos enjoys an inordinate amount of restaurants, shops, coffee houses, bars, places to dine , taste wine, stroll or take in a film. It’s also home to free musical concerts in the summer, a parade in December, a gorgeous new public library, a Farmer’s Market every weekend and many other events year round. Finally, the Almond Grove is set near two parks, Bachman Park and the Los Gatos Town Plaza, so there’s a good amount of open space nearby too. There’s something for everyone! The allure of the Almond Grove is more than convenience, though. There’s an old time friendliness that seems to come with the big, welcoming front porches on so many of the older houses. Dwellings are also set closer together than one might find in suburbia, too. Rather than live so much in the privacy of the backyard, there’s an invitation implicit with this combination of close neighbors and a front porch that seems to underscore that residents are part of the neighborhood community and a bit less secluded. 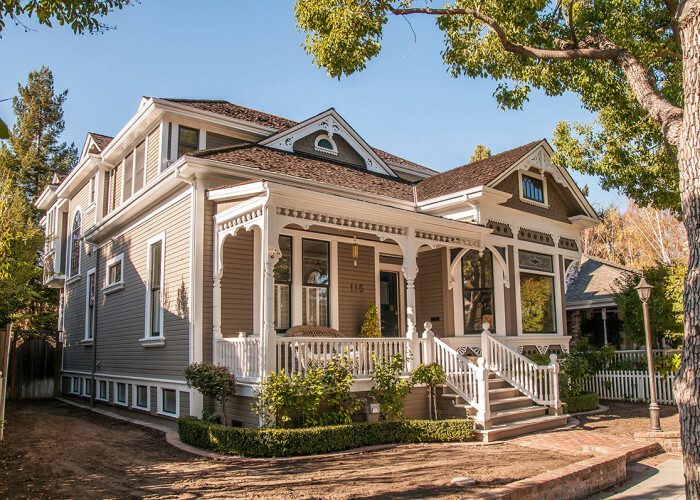 The historic Almond Grove District of downtown Los Gatos is home to a great number of historic homes, many of them Victorian in age and styling. The other day, we drove past a property in which an attempt was being made to preserve a portion of the original structure – the front exterior wall and a back exterior wall. Aside from these, only the dirt appeared to be original. The foundation, roof, chimney, porch, interior walls, windows – all gone. I’m certain that the historic preservation is the motive. But are we kidding ourselves to think that this kind of “remodel” preserves enough of the original structure to warrant calling it a remodel? Or is this just a farce? Perhaps some elements, like interior doors and old glass, are in storage somewhere and will make a reappearance down the road. Even so, if that happens, is it enough? Here’s a view of the lot with the front remanent of the house showing. Please note: there’s no foundation (let alone any floors, windows or doors). A closer, angled view reveals that there’s little behind this front wall and posts which at one time supported a roof over a front porch. In addition to the front wall, a back wall is also left standing, supported by posts to stay erect. Other than these two walls, there’s little else to the lot but dirt. And yet this is probably going to be considered a remodel for historic purposes. Is remodeling just a matter of interpretation, of hermeneutics? if so, I think we are stretching things too far. I hope I’m wrong about this. I don’t attend town council meetings, so perhaps this has been bantered around and there’s more to it than meets the eye – literally. 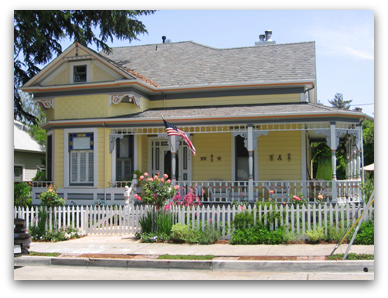 Los Gatos, is this what we want to see happen to our historic homes? 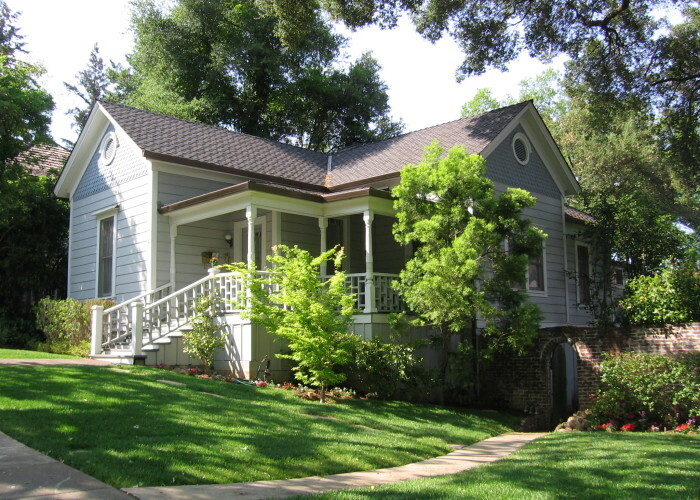 The county’s smallest home on the smallest lot sits in the historic Almond Grove District of Los Gatos. 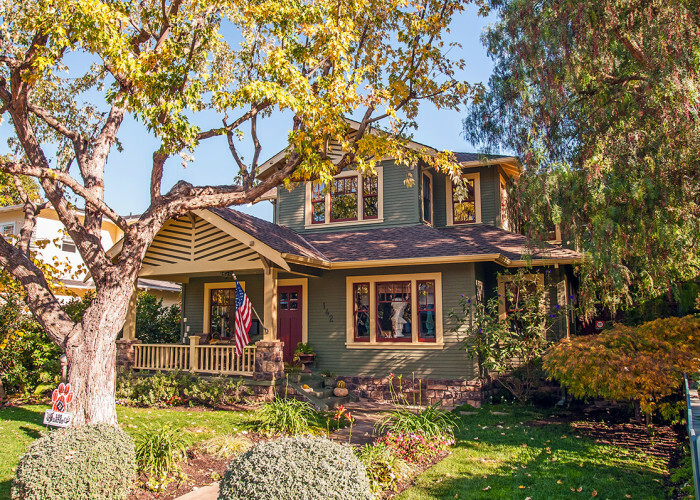 It’s a darling cottage, totally rebuilt about a dozen years ago, in a fantastic location just steps to all that downtown Los Gatos has to offer. Because the home is unique and architecturally interesting, I blogged about it here on Live in Los Gatos a few months ago (see first link, above). This listing is presented by Helen Cockrum of Alain Pinel Realtors in Los Gatos, who graciously gave permission for me to blog about (or advertise) her listing here. 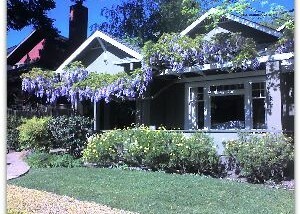 More information and photos of this amazing downtown cottage can be seen on MLSListings.com. 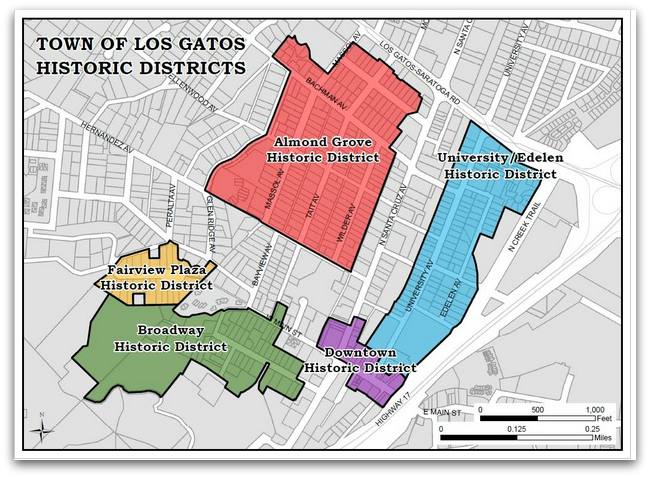 Los Gatos prides itself on being a town rather than a city, with the intimacy and friendlines that being a town implies. Don’t let the name “town” fool you, though. There’s a lot of “big” in this small town. We do the holidays in a big way in Los Gatos: the tree lighting, the holiday parade, the fantasy of lights, the carriage rides, and the decor throughtout the downtown and neighborhoods are all on a great and beautiful scale. Summer’s the same scale of big with outdoor events: we enjoy Shakespeare in the Park, Screen on the Green, and more musical venues than anywhere else in the county (Jazz on the Plazz, Music in the Park, Vasona Vibrations, and last year a newcomer joined the musical scene in Old Town with Saturday afternoon music on the deck next to Borders – all of these are free musical events). 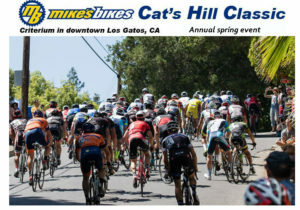 Los Gatos real estate is varied; while it’s a well-to-do town, not everyone lives in large homes or view estates with vineyards and olympic sized pools. 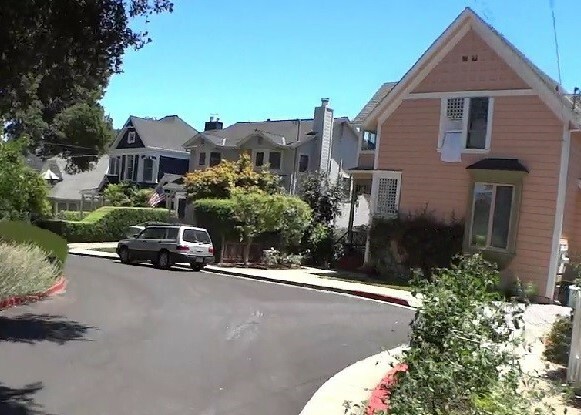 In fact there is a lot of variety in the size and character of our houses from the inauspicious 1100 sf to 1400 sf track homes built in the 1960s to charming, 100+ year old houses in the heart of downtown – in the Almond Grove, Edelen, Fairway Plaza or Broadway districts. Close by, there are woodsy mountain homes in the neighborhoods off of Highway 17 that are “part of the town” if not legally incorporated into it. And there are the homes in great view locations on enormous lots. Most of these lovely houses that sit atop our closest foothills are not monster homes, but tasteful, larger homes. It’s just that the collossal strutures are impossible to miss. 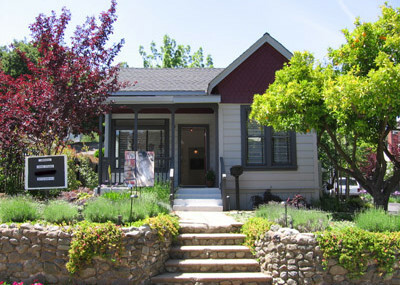 With so much variety, so much “big” and “small”, is it any wonder that the valley’s smallest home is also in Los Gatos? The former chicken coop is now a showplace of stye and design and blends in modestly among its larger peers in the Almond Grove District. After a fire destroyed the old structure, it was rebuilt in 1997. Designed by Gary Schloh, it is a perfect fit for the tiniest lot (956 SF) in the county too. How tiny is tiny, you are wondering. Would you believe 514 square feet? Needless to say, there’s no wasted space! The smallest home is a private residence and is not for sale. Watch for the annual home tour events in town – the generous owners have offered it as part of charitable tours in the past, and if you are lucky, may do so again!